San Mateo police received a tip from an allied agency Monday and detained a man they believe made school shooting threats at a Big 5 Sporting Goods store on Friday. The man, who was not identified, was placed in protective custody at a local hospital for a mental evaluation and threat assessment, police said. Upon receiving the tip, San Mateo officers contacted the man and interviewed him regarding the incident. The man admitted to an officer that he was the person involved, was joking when he made the statement in Big 5 and apologized, police said. Meanwhile, police had increased their presence at several schools in the area Monday and were prepared to do so all week. There are more than 30 schools in the county and police were in touch with most of them, according to police Sgt. Amanda Von Glahn. 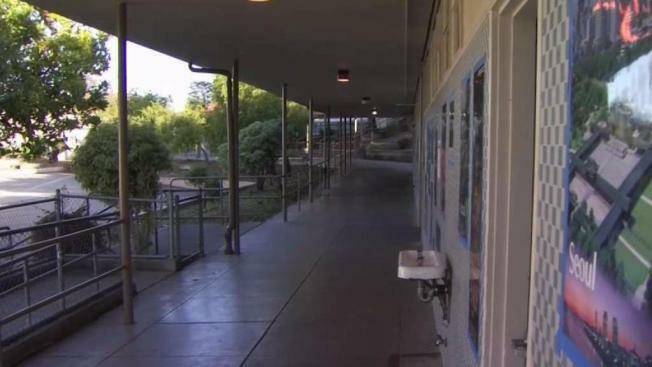 San Mateo police are increasing their presence at several schools this week after a man made school shooting threats at a Big 5 Sporting Goods store on Friday. Laura Sambol reports. Von Glahn said the threat was nonspecific and there is no immediate danger to schools, so they have not asked campuses to shelter in place or go under lockdowns. Campuses can decide what they feel is appropriate, she said. St. Gregory School is one campus that instituted a voluntary shelter-in-place today. Von Glahn did not specify how many police officers will be present at schools, but some public schools already have campus police who rotate across the district. Von Glahn said police set up a game plan with several schools over the weekend, and the police presence will persist through the week. 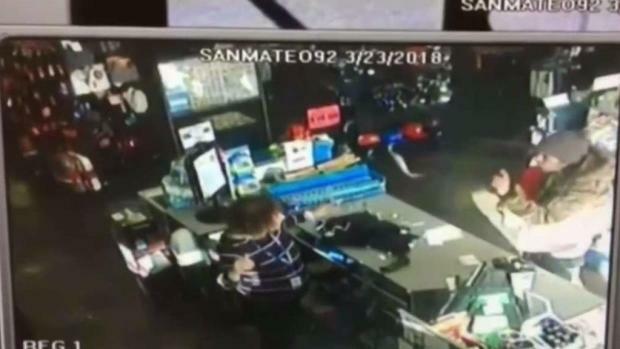 The incident started when a customer at the Big 5 Sporting Goods store on South El Camino Real called police around 5:50 p.m. saying he overheard another customer tell an employee he wanted to purchase a firearm and shoot up a school, asking the clerk for a good shirt to wear. The employee did not sell a gun to the man, according to police. Officers responded within minutes and searched the store, but they didn't find the man. According to police, the witnesses didn't find the man's statements to be credible.